After I graduated and started working full-time last year, one of the biggest annoyances I faced was money. Or rather, how to manage mine. I don’t mean the big ticket stuff like retirement plans or investments — I’m still in a bit of denial when it comes to those — but the everyday things like credit cards. With so many options and so many (differing) opinions from friends, I’ve put off the issue more times than I’ve cared to count — until GET.com sparked my interest. GET.com is a Singapore-based startup that specialises in the personal finance comparison space. It covers topics ranging from credit card benefits, money saving tips, to personal loans. Founders Pedro and Grace launched the site in 2011 in the US, and it was only in February this year that they started a Singapore version. 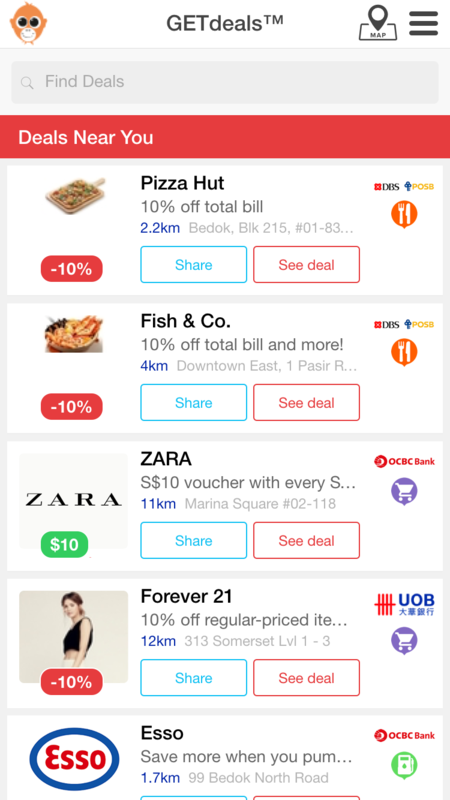 Earlier today, they officially launched their mobile app GETdeals — the first in Singapore to offer a comprehensive range of credit card deals. This means that credit cardholders who own a few credit cards don’t have to download separate apps from each bank, and can browse all deals on the GETdeals app alone. After selecting a deal that you might be interested in, there are a few ways you can proceed: tapping on the “call” icon allows you to contact the brand directly (this would be useful for making restaurant reservations, for example), while clicking on the “GO” button takes you to a Google map view so you can make your way to redeem the deal. 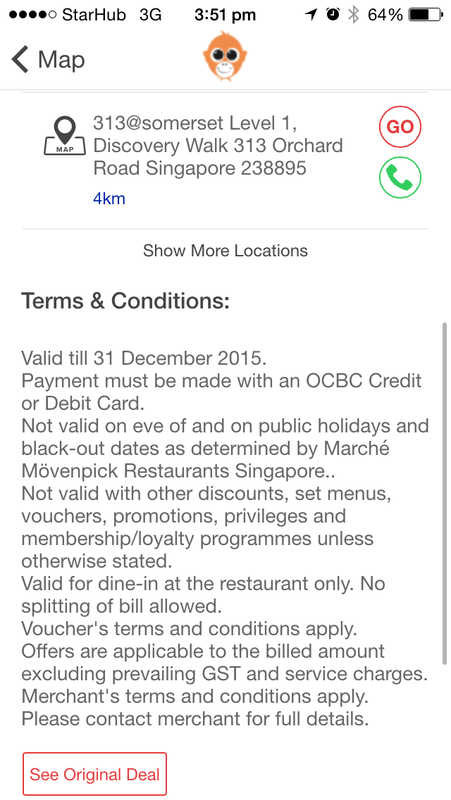 Users can also indicate the credit cards they own in the app, so that they only receive deals they qualify for. Incidentally, this feature could well benefit consumers in the long run: since consumers can view all deals regardless of which credit cards they own, banks are kept on their toes and encouraged to stay competitive with better deals for cardholders. But the best part of GETdeals, by far, is the option for users to view the original deal on a bank’s website. This is useful, as Pedro explained, for times when restaurants or shops don’t recognise the promotion or voucher you show them via the app. If you’ve ever been at the receiving end of such incidents — as I have — you’d know how embarrassing and disappointing these can be. There’s nothing like a failed attempt at using a voucher to put a dampener on your mood. When asked why they chose to launch the app in Singapore, Pedro revealed that about 60% of traffic on GET.com’s Singapore site come from mobile users, so it only made sense for them to develop a mobile app catered to Singaporean credit cardholders. That said, he also pointed out that the GETdeals app isn’t actually a source of revenue for the company. Instead, they depend on credit card sign ups via GET.com to keep them going. The founders, however, declined to reveal how much they make per sign up, though they did disclose that they were making a neat 8-figure sum when they were still only in the US market two years ago. GET.com has partnerships with about six banks in Singapore. GET.com has partnerships with about six banks in Singapore, but do not feature ads on their site. A point that the founders pride themselves on is that they do not feature advertisements on their site. This, they say, makes their site a transparent one, and it also means that their growth so far has been largely organic. 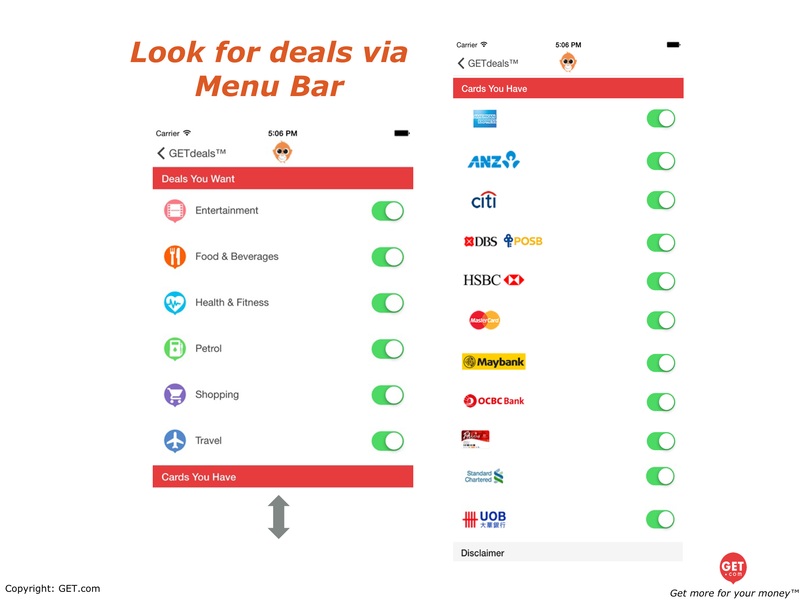 From what I’ve seen, GETdeals does, as its founders repeatedly mention, provide a very comprehensive round up of all the credit card deals available — all in a simple and fuss-free platform. And you know the team is on to something by the sheer fact that banks have approached them to ask for data regarding user demographics. There’s no knowing when another competitor will appear to take over their place, given the increasingly competitive financial space, but for now, GET.com is planning to gradually move into new Asian markets as well as the personal/home loan space in Singapore. Guess I now know where to turn to if I finally decide to start getting my finances in order. The GETdeals app is available on Google Play and the App Store. The post S’pore’s GET.com Explodes In The US, & Its New App May Be The Godsend For Credit Card Deals appeared first on Vulcan Post.